Prophetic Healing and Deliverance (PHD) ministries founder, Walter Magaya, is in the eye of a storm after being fingered in the mysterious death of his alleged ex-mistress, Chipo Chakanyuka (25) in Botswana last month. 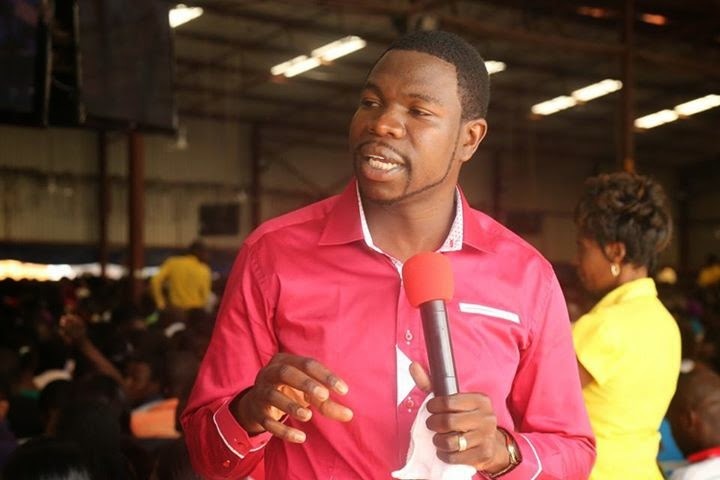 Fresh from allegations of bedding someone’s wife – although the charges were later withdrawn from the courts – Magaya is now embroiled in the mysterious death of Chakanyuka, a woman he, according her parents, had an affair with between March and May this year. Chipo, who was head usher at PHD ministries, is believed to have “committed suicide” in a Botswana prison under unclear circumstances after she was allegedly “found in possession of three pieces of gold” while on church business together with a fellow congregant, Cathrine Nyangoni. Chakanyuka’s aunt who spoke on condition of anonymity sensationally claimed in an exclusive interview at the family’s Warren Park residence that their daughter was “in a secret relationship” with Magaya between March and April although the relationship was known to all family members including Chipo’s mother, Tambudzayi Chakanyuka. Tambudzai confirmed knowledge of the affair saying her younger sister would give finer details. However, yesterday Magaya denied having an affair with Chipo let alone having a hand in her death and accused The Zimbabwe Mail of being used to tarnish his image. “Why do you hate me, you The Zimbabwe Mail why do you hate me, yes I know that you hate me, every journalist in the country does not hate me but you the Zimbabwe Mail you hate me. I know that you are being used by someone and I know you will hate me to the last bone of your life. I know you are Pharisees and Sadducees. I can’t have an affair with someone and do miracles that I do. I know I am not a God of man but I am a man of God. I can’t do a sin and perform those miracles. I helped Chipo change her life; she was a stripper in beer halls and I helped her change her life. I have a video of her mother saying at the grave site that her daughter was into gold smuggling. “If I have done anything wrong for you vanhu ve Zimbabwe Mail please forgive me,” an emotionally charged Magaya said surrounded by his security guards, Pastor Max and Nyangoni at their Waterfalls church. “I paid more than $6000 towards Chipo’s funeral,” he said. According to the aunt, Chipo went to Botswana with some church members on September 19, to buy church uniforms under the leadership of Nyangoni. She said after while Chipo was in remand prison in Botswana, Nyangoni told them that when they arrived at the border, Botswana security officials started to shout Chipo’s name to which three other people responded, including the now deceased. “Mai Nyangoni told us they then said they want to see Chipo Chakanyuka. After she responded to her name, the authorities claimed they had noticed something in her handbag and after the search, they found what they claimed were pieces of gold,” the aunt claimed. “She was arrested at the border post,” she said. The aunt said from narrations they received from Nyangoni, it was clear that Chipo had been framed because by the time they arrived at the border, authorities were aware and already waiting for their target. Nyangoni confirmed in an earlier telephone interview that she had briefed the family about what happened while they were in Botswana. “I can’t say anything to you; I gave them everything that I knew about the issue. I know that when they went to Botswana they might have heard something different but that is not my concern. Whoever gave you my number and the story should tell you more. “I was not there when Chipo died so I don’t know what really happened please just leave me alone write what you want and I don’t care about it,” she said. The aunt said when they received news that Chipo had committed suicide they made arrangements to go to the neighbouring country but when they got there, they were never given satisfactory answers. “When we asked the police officer handling the case to see pictures of Chipo hanging inside the prison cells, he told us we would see them but later on changed and said he did not have them,” she said. “We were also told that after the arrest, Pastor Max sourced a Zimbabwean lawyer based in Francistown. We went to see him so that we could get his story regarding the matter but our suspicions of foul play were confirmed when this lawyer said he never spoke or saw Chipo alive,” she said. Pastor Max declined to comment on the matter despite being present when Magaya was talking to this publication. “Even though they said Chipo hanged herself, her neck did not have any marks or anything to suggest that she committed suicide in the manner they told us,” the aunt said. She said when they collected Chipo’s belongings they found a note which they believe she wrote while in custody where she was asking God to save her from a blood sucking man. “We also found some tablets, and if she wanted to commit suicide, she could have used those tablets but she did not. Secondly, the cloth that she allegedly used to hang herself was not hers”. She also said when Chipo left for Botswana she had two cellphones which they never recovered. “We suspect that they took the phones so that they could remove all the communications between her and Magaya, but its very unfortunate because she used to forward some of the messages to us as a family and kept us in know of what was happening. One of the message allegedly sent by Chipo to one of her relatives read: “Zvino takuda kupfuudzwa naMagaya akatishandisa akuda kutisiya ndosaka ndamuti I will fight to the last drop of my blood.  Akuda kutisiya asina kundipa mota, shop nemba( loosely translated, Magaya used us but now wants to dump us without a car, shop or a house) ,” read the message. The family said prior to her trip and subsequent death, Chipo had told them she was living in fear of Magaya who had made threats to deal with her as she wanted to expose the “prophet”. “We were aware of their relationship and at one time, Magaya gave Chipo $4000 to buy wares to sell. She imported the goods from Tanzania and some of it we sold it here,” her aunt said. “At one time, she lost her bag while at church for it to be found two days later without her phones and it is during the time when she had started threatening to expose Magaya”.